Your single-leg balance (SLB) is essential to your performance in sports and in your everyday activity. Unfortunately, it’s often overlooked and undertrained by most athletes. So it’s easy to miss all they ways your body might be compensating, and increasing the risk of injury. SLB is something I test on every athlete I work with. That’s because, when measured, it serves as a predictor of durability. Balancing is a way to identify your ability to stabilize in a way that supports proper function. Or determine if you’re stabilizing in a way that’s reinforcing dysfunction. SLB should happen without any compensation in your body. Compensation would prevent your muscles from being tasked with trying to perform both stability and mobility at the same time. If compensation does take place, a tug-of-war occurs, leading to breakdown. And this often happens right before an injury. Compensation can show up in many ways. It’s common to see leaning, arching, twisting, and stiffness, to name a few. And this can happen in many locations from your feet up to your head, all at once. This added stress diminishes your ability to produce force in an efficient manner. And with it your potential to succeed. Your left and right side need to show equal ability in order to avoid uneven weight-bearing. If not, it’s sure to catch up with you in a most unwanted way. In fact, asymmetry is the biggest risk factor for injury. For years, I’ve battled with having a malformed bone in my right foot that has made it difficult to balance. So I’m constantly favoring my left leg when I walk, run, and lift. As a result, it’s caused an accumulation of stress at my knee, hip, and low back. Because I’m aware of this chronic issue, I’ve been able to manage it. But most athletes either aren’t aware, or they don’t know what to do about it. Balance should be as reflexive as a blink of your eye. So you should never have to think about it as you play. But it can turn into a major problem if you don’t ever stop to test it, and maintain it when you’re not playing. Most athletes don’t. And they pay the price with diminishing performance and eventually they get injured. At a primitive level, that fast reflex is necessary in SLB. It stems from the same instinct for self-preservation as to why you blink. The eyelid closes lightning quick to prevent anything from damaging your vision. So that you don’t lose your ability protect yourself from danger. In the case of your SLB, it prevents you from falling to the ground when you need to run from predators. Or hunt for food. Because this reflex is part of your survival mechanism, your body will find a way to balance…no matter what. That’s good news if a bear happens to be chasing after you. But it can be bad news on your journey to be an Athlete for Life. The “no matter what” survival tendency is synonymous with “at all costs” (i.e. compensation). That means that every time you are on one foot, you could be reinforcing dysfunction. It’s gets even worse as you attempt to push your outer limits as you train. Because overload or fatigue will magnify any imbalance and compound the damage. That damage for many may be an injured ankle, knee, hip, or lower back. I want you to realize that your body has an unrelenting disregard for optimal function. So it’s up to you to be smarter and proactive. Understand that when it comes to SLB, poor motor control and mobility are often the root cause. To fix it, you would need to follow a program of regressive exercises that help to correct imbalances. That must include exercises to develop mobility, core strength, and re-patterning the body in function. In a few weeks, I will be releasing the second module of Search and Rescue Mobility (SARM), the Lumbo-Pelvic Hip. And it will help you have a better foundation to support SLB and much much more. 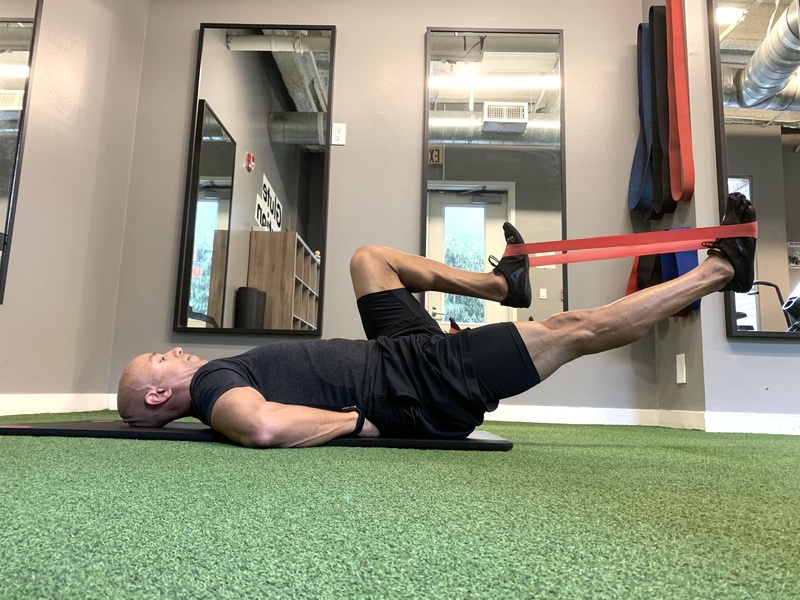 For now, get started with the first SARM module…The Lower Leg. It allows you to build from the ground up. So you can perform your best.